Having worked in retail for about a quarter of my life, I was always surprised by the amount of women that bought the men in their lives jeans (or men that bought their own jeans, but had no idea what they liked beyond 'baggy' or 'tight'). 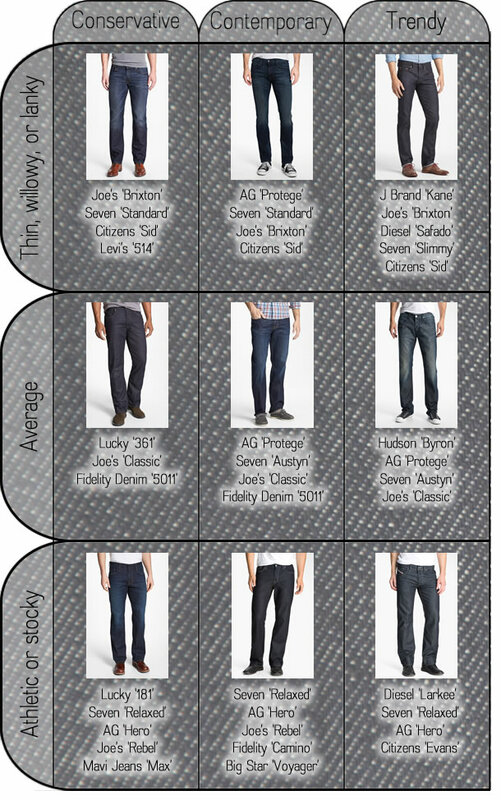 Below is a guide for buying jeans for you man, dad, brother, or any other individual with a Y chromosome. There are three factors to consider when purchasing jeans for men: their build, their style, and their fit preference. Generally speaking, if the guy you're shopping for errs on the conservative side, he also likes his jeans with a more traditional cut (ie. a little more space). Alternatively, those happening trendy guys are more accepting of a slender profile. That general assumption has been built into the table below, but if your guy falls outside those generalizations feel free to leave a comment below! Nordstrom- excellent selection, sales, and you can bring them into the store to get them tailored if required. Not to mention, free shipping and free returns. Zappos- free shipping (usually overnight!) and free returns plus a big selection with reviews. Piperlime- free shipping both ways, and coupon codes! Generally speaking when you sign up for their e-mails you get 15% off your first order, which helps with the often high price point of denim. 6pm- free shipping and outstanding deals. You can score premium denim upwards of 70% off. There aren't reviews, and if you need to return something you cover the shipping. The lack of reviews can be negated by looking elsewhere, for example Nordstrom and Amazon often have reviews for the exact item. Hautelook- more killer deals, and free shipping over $125. 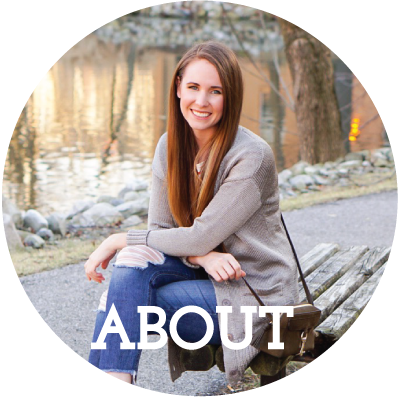 If you have any other denim questions or advice tidbits please chime in!